It’s been a whirlwind of sustainable activity this week! Members of the Aggies Eco Reps and TAMU Residence Life staff attended the Association for the Advancement of Sustainability in Higher Education (AASHE) in Baltimore, Maryland. The conference took place from October 9-12 and was jam-packed with inspiring speakers like Professor Marc Edwards who worked tirelessly to shed light on the contaminated water in Flint, Michigan, and Professor Marcia Chatelain who teaches about African American life and history at Georgetown University. 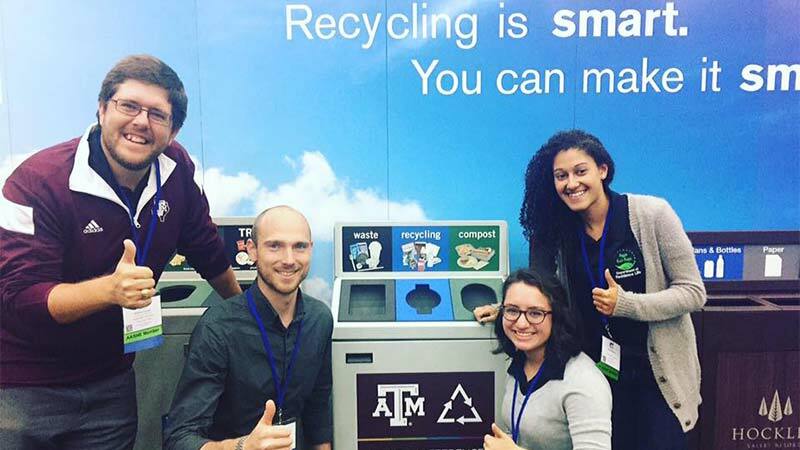 Aggies enjoyed connecting with students, educators, and sustainability professionals in a fun and fast-paced setting while soaking in as much of the local sights after attending workshops. Residence Life is excited about the upcoming sustainability challenges that will be held October 19-November 15 and the Sustainability Dinner on the 10th of November. Stay tuned for more information!